This writer was in Islamabad recently. Regular column readers would now be asking what have Islamabad got to do with Brunei history. The answer to that would be none. It just so happened that this writer met with the Brunei High Commissioner to Islamabad. The High Commissioner was His Excellency Pehin Datu Penglima Col (R) Abdul Jalil Haji Ahmad. 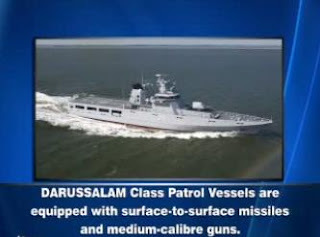 He was formerly the Commander of the Royal Brunei Navy before he retired and became a diplomat. I don't think I have ever met Pehin Datu Penglima Colonel (R) Abdul Jalil before. 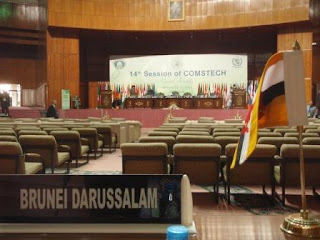 Yet when I met him at the hotel greeting and welcoming us, the Brunei delegation to the OIC COMSTECH meeting, I was at ease. He certainly made us feel very welcome and the Embassy staff looked after us very well. I was with him when we attended the official dinner hosted by the Prime Minister on the first night. And he hosted the dinner for us on the next night. During the conversation, we discovered that he had actually penned his memoir. According to him, he wrote the book much earlier - during the leave period just prior to his retirement. However he published and printed the book when he was in Pakistan. He sold some and he gave away some. I was lucky enough to have gotten a copy personally signed by him which he gave during the dinner. I am now on the way home via Dubai and Insya'Allah will be home by Friday morning. The flying home began by leaving the Serena Hotel on Thursday at 1 am, the Emirates flight to Dubai at 3 am and reach Dubai at 6 am. Stay in Dubai until 10.30 pm before taking the BI flight back to Brunei. Enjoy some of the photographs I took along the way in Islamabad. 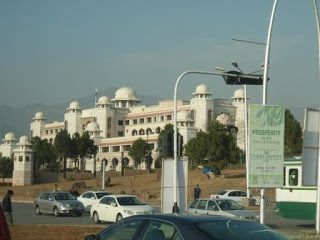 Remember Islamabad is like Old Airport Government Complex - full of government buildings! The number of meetings overseas I attended last year was in the double digits. It is ironic as I don't like to travel. I don't mind the occassional overseas meeting now and then just to keep in touch with what's going on in the international world but last year was exceptional. A few of them were for my other hat being a member of the CSPS and some additional ones were because the meetings took place only every few years and last year happen to be the one year, most of them were held. In most of the meetings last year, even the ones organised by the United Nations, the security was minimal. There were screenings, metal detector bars etc but none that I can not tolerate. Greetings from Serena Hotel in Islamabad. I have only seen the main entrance of the hotel. According to ckarachi.blogspot.com, the hotel is located on the foothills of Margallas on fourteen acre area with beautiful gardens near the Rawal Lake. The architecture and interiors of this fabulous hotel building are a mere reflection typical Pakistani cultural heritage depicting the skills and craftsmanship of talented artisans. 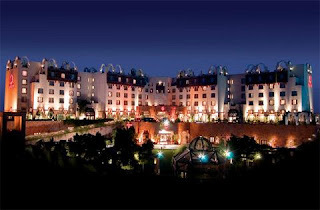 Being state-of-the art building, the hotel beautifully combines traditional systems equipped with latest technologies. 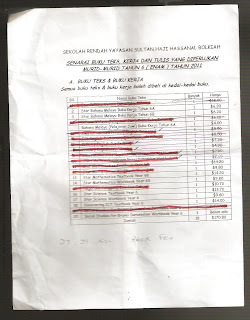 During the last holidays, there were so many 4-wheel drive Brunei registered SUVs in Kota Kinabalu that the driver of the hotel’s car that the writer was staying in, thought that in Brunei, no one drove small cars. There were indeed many Brunei holiday makers in Kota Kinabalu and all parts of Sabah, some ending up going up to the peak of Mount Kinabalu. 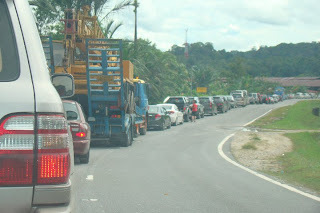 Virtually all of those Brunei cars drove for about 6 to as long as 10 hours to get from Bandar Seri Begawan to Kota Kinabalu. The quest for Year 6 text book continues. The other day, I happened to be at Bismi Gadong when a van drove in and dropped boxes of books - all new textbooks. It was interesting to watch the scene. There were quite a number of parents, students there and everyone started to hang around and wait for which books will now magically appear out of these boxes. After about half an hour or so, most of us realised that the Year 6 books which are not yet available will still continue to be unavailable. Every time I tell this tale, I have been advised by parents and other interested people to go to this other bookshop somewhere else. The thing is, I have been somewhere else. 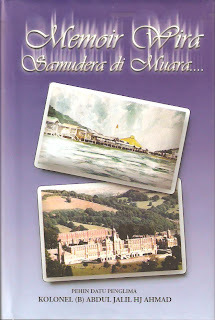 In Brunei, if you cannot find it in one bookshop, you won't find it elsewhere. Trust me. I have been to the other bookshops. Human beings have always been curious and have realized that the need to know and to keep time was useful to their lives especially in knowing when was the best time to sow and reap their crops. They look to the sun and the moon for their guidance. From these observations began all calendars with people recording time using the natural cycles of the moon and the sun. Where are the SPN books? I have been carrying this piece of paper for about 6 weeks now. Ever since, school closed and my son said that his teacher told him that these books must be purchased for the start of the school year in 2011 which is tomorrow, these books had to be acquired. So, you want to celebrate new year? Which new year? SO, WHAT IS IT ABOUT 'NEW YEARS'? TODAY is the first day of 2011 AD. For those who did not know, AD stands for the Latin words "Anno Domini" or "the year of Our Lord" and as the Oxford Dictionary has pointed out AD refers to "the Christian Era". For those who prefer to use a non-religious connotation, they can use 2011 CE where CE referred to "Common Era".